Engine-Revvin' Car Racing in LA! Find your fix of adrenaline, exhaust and top speeds with Los Angeles race car driving experiences! Let loose on some of the LA area's most prestigious pro tracks! Cloud 9 Living's collection of car racing gift ideas come packed with an unbelievable amount of horsepower, speed and thrills. So hop into NASCAR rides, drive exotic cars, or take a spin in Indy cars, Corvettes, Mustangs and more — for the most unforgettable ride along and driving experiences of your life! If stock car racing is your guilty pleasure, Cloud 9 Living has the perfect way for you to take indulgence to the next level. 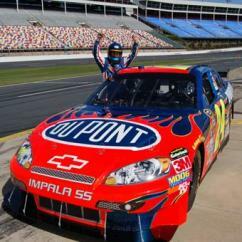 Do a training session with the pros, then climb into an authentic Sprint Cup style car to put the pedal to the metal for yourself, driving a NASCAR around the Auto Club Speedway. 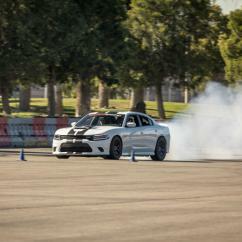 This race car driving experience in LA begins with a drivers' orientation. Participants will learn the ins and outs of handling a real stock car, covering topics such as driving lines, braking and accelerating, communication, track geography, and vehicle operations. Once the classroom session wraps up, it's time to climb into a crew van to take a demo-lap around the track. Your instructors will point out track features covered in the orientation, while talking you through what to expect of the driving experience from behind the wheel. Once crossing the finish line in the crew vehicle, it's time to suit up in race car driving gear, get assigned to a car of your own, and bust a move out of pit road! From sliding into the window, to strapping in, then pushing MPH limits — a stock car racing experience in LA like this one is tough to forget. Want all of the adrenaline but none of the driving? 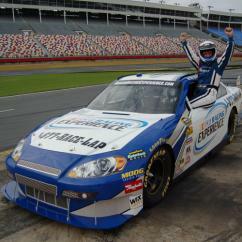 Check out stock car ride alongs on the Auto Club Speedway. They're a top-notch way to delight in rubber burnin' at speeds that only the pros are capable of hitting! And they also make for a great way to prep for hopping into the driver's seat. And if open-wheel cockpits are more your style, the best Los Angeles race car driving thrills ready and waiting for you. 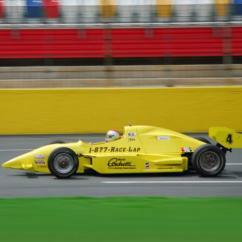 Enjoy the engine-revving excitement of Indy cars! These unique sets of wheels feature a day at the track similar to that of NASCAR racing experiences. So participants can expect a thorough training, demo ride, full gear, and fun time tearing up turf on the track. 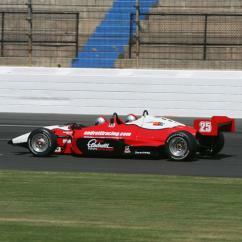 Indy car racing options also come as ride alongs, drives, and a combo of each on the Auto Club Speedway. Is your eye on a foreign prize? Cloud 9 Living is your one-stop shop to drive exotic cars in LA! Nothing beats getting behind the wheel of a fast 'n' flashy set of wheels. 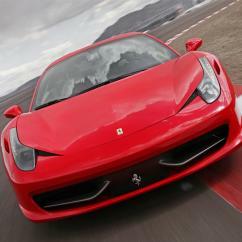 Make a bucket list dream come true by racing a Ferrari around the Auto Club Speedway's impressive road course. 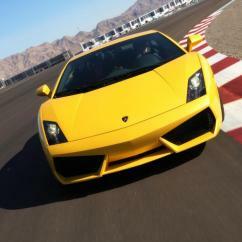 Take a spin along straightaways and hairpin turns, driving a Lamborghini at top speeds! 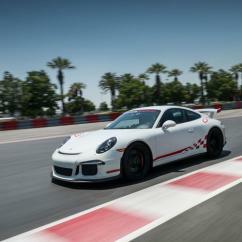 Challenge your race car driving prowess behind the wheel of a Porsche. And for the auto enthusiast who simply can't decide on just one kind of exotic car racing in Los Angeles — go for the golden opportunity of a lifetime! 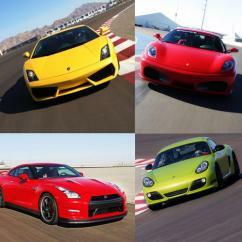 Satisfy a need for speed with the chance to drive four remarkable supercars: the Ferrari F430, the Lamborghini Gallardo LP550, the Porsche Cayman GTS, and the Nissan GT-R.
Los Angeles race car driving experiences wouldn't be complete without exhilarating ride alongs in Corvettes, too. So hold on tight as you holler with delight while a pro driver whips a hot Chevy build around a road course at unfathomable speed! 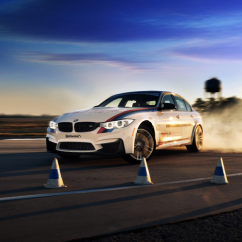 Or tackle top-notch driving schools to learn the art of wielding horsepower featuring BMWs at the Thermal Club and Mustangs at Chuckwalla Valley Raceway. Whether celebrating a special occasion or looking for fun things to do in Los Angeles — you're on the right track with exclusive race car driving experiences in LA like these! 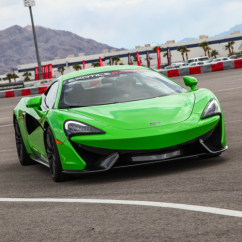 Los Angeles race car driving experiences are your ticket to park on pit road at the Auto Club Speedway, Thermal Club and Chuckwalla Valley Raceway! 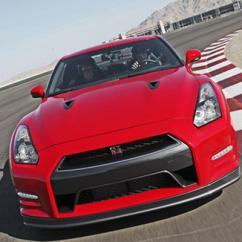 Escape the LA traffic scene for a race car driving destination in Fontana: Auto Club Speedway. This prestigious superspeedway is home to countless racing events each year, making it a most impressive locale for the professional circuits, as well as the general public who gather to cheer their racing heroes on or try the track for themselves! With stunning straightaways that crave speed, plus four turns to maneuver along the 2-mile, low-banked D-oval — this track offers nothing short of the most exhilarating Indy and NASCAR racing experiences! Put the pedal to the metal over a front stretch of 3100 feet, and a back length spanning 2500 feet, delivering take-your-breath-away thrills for both ride alongs and drives. And the asphalt-induced adrenaline rushes don't stop there. The sounds of horsepower can be heard on the Auto Club Speedway's infield road course as well! Featuring 1.2 miles of twists and turns (eight total) waiting to be taken at unfathomable speeds, as well as a 1600-foot straightaway — there's no better track in Cali to host an impressive fleet of foreign vehicles. So get in on a McLaren, Porsche or Lamborghini racing experience before the availability of these hot rods peel out with popularity! Hitting up the Chuckwalla Valley Raceway for some race car driving in Los Angeles' neighboring Desert Center area? Unleash the full performance of a 420 HP Mustang GT on the track's 2.68-mile road course. With 17 turns to squeal around at the highest speeds you can handle, there's no limit to the rubber-burning that can happen on this impressive Cali turf! BMW buffs will rejoice at the chance to tackle the Thermal Club! 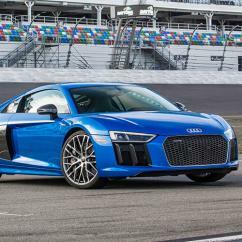 With a 2,500-foot straightaway and a total of 4.5 miles of road to relish, starting the car's smooth engine is only the beginning of this exhilarating, performance-oriented race car driving excursion. Boasting three road courses that can be utilized for 19 different driving configurations, drivers will be determined to leave no corner left unturned by the end of this exceptional LA driving experience!